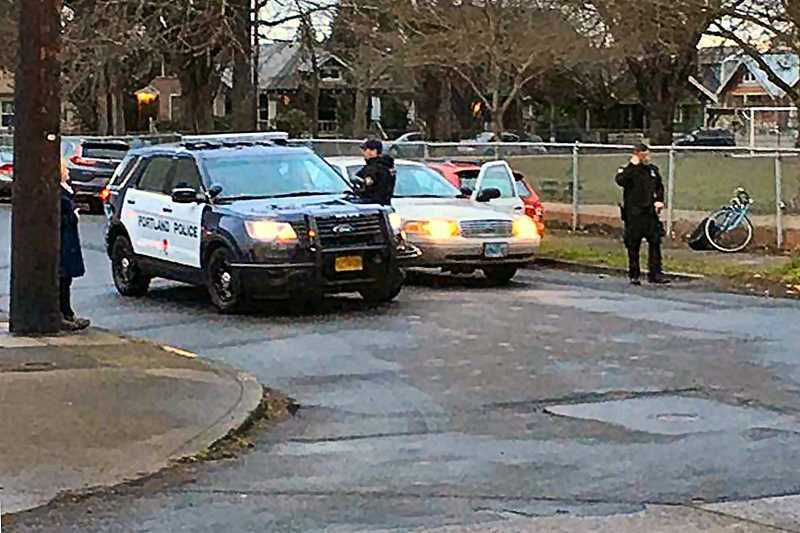 On Wednesday morning March 13, at 6:09 a.m., Central Precinct Officers responded to a 9-1-1 call about a woman who had been robbed at gunpoint, and her vehicle taken, in the vicinity of S.E. Clinton Street and 38th Avenue. Officers arrived to meet the female adult victim, who had not been injured. She was approached by two white males, of unknown ages, who were wearing ski masks. One of them was armed with a handgun. The suspects took some of the victim's personal property, including keys to her vehicle. The suspects left in the victim's car, a Red 2002 Mazda Protégé. Officers searched the area, but did not find the car. At 7:02 a.m., a call came in from a teenage female who attends Franklin High School. She reported two robbers had pulled up to her near S.E. 51st Avenue and Woodward Street, displayed a handgun, and demanded her purse. The suspects were described as two white males, in their 20's, wearing all dark clothing. She ran to the school, and the suspects did not get any of this victim's property. She was not injured. Nearby Richmond Elementary School was placed on temporary lock-out as a precaution as officers spread out to try to locate the bandits. The lock-out was subsequently lifted. As more officers arrived to widen the search, a patrol car located the stolen Mazda Protégé involved in the first robbery incident. One of the vehicle's license plates was missing from the car: Oregon 952BDR. If you see this license plate displayed on a vehicle, you are urged to call Police Non-Emergency at 503/823-3333. The red Mazda was recovered by the officers. At last report, the bandits are still at large. The Portland Police Bureau's Robbery Detectives rolled out to investigate both of these robberies. Detectives ask the help of residents near both incident locations to check their home security devices for any possible video of either of these holdups.